This has been a fascinating series. It is exciting and frightening to think such beasts could have survived from another era. It does seem to me most viewers can identify “some sort of cat” from “some sort of dog” pretty easily, even if specific features don’t match. 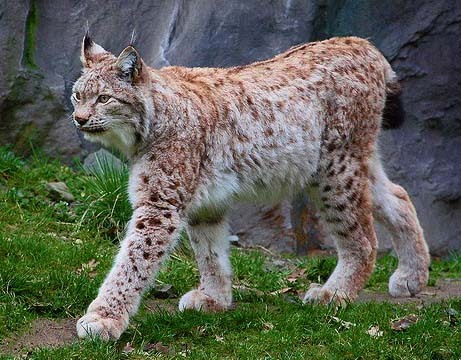 So I would think a wolf of pre-historic canine is far more likely than a lynx or lion; but there is just enough variation in accounts it’s impossible to know. It does still seem unlikely that a wholly unknown species was involved, but there have been surprising finds over the years, so who knows? I’m glad I have kept you interested! 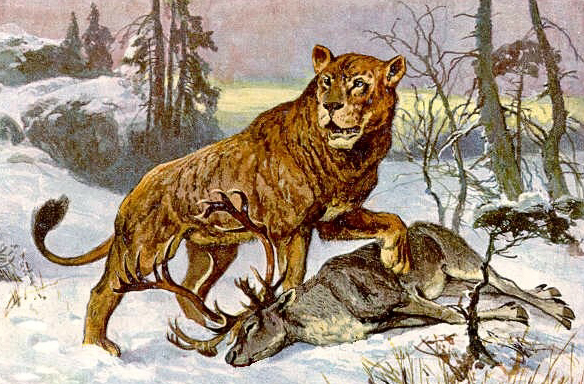 I fully agree with you when you say “a wolf or pre-historic canine is far more likely than a lynx or lion” but I don’t think we will ever get a definitive answer until the first time machine is constructed. Now that would make you a good long term modelling project! I would think f it was anything too odd it would have been preserved in somebody’s trophy collection? THAT is actually something that could conceivably still show up at some point. This really has been a fascinating series and I have to commend you on your research. I was reading the section about disregarding the Wolf theory even though witness reports claimed as such. This could be an example of “re-constructive memory” whereby a witness reacts so quickly to a threat or a disturbing sight that they retreat without really assessing what they saw. When asked what they saw by friends and family the brain tries to make sense of it all by recalling what it originally registered and then subconsciously (and unintentionally) fills in the blanks by what was most likely to have been what they saw. 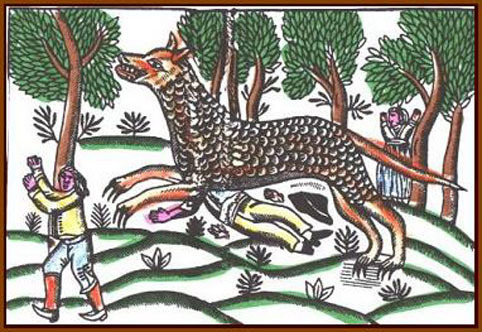 In this instance they saw a four legged creature carry out a horrific attack and given the prevailant fear of wolves in Europe at this time then a wolf becomes the imagination’s fuel. Therefore it could very well have been one of the creatures you outlined but got mistaken for a wolf in a moment of high emotion. I think your idea is a very good one! The brain tries very hard to rationalise things and doesn’t always reach the correct answer. How amazing that you are the first person to come up with that idea in 250 years. The peasants of the time were not allowed any guns, but used to arm themselves with knives tied to long poles. There are three or four occasions where a group of, usually. children, formed squares, back to back, and held the Beast at bay with their home made weapons. Two men were once marooned on a wagon while it circled around them for half an hour. And always, the feeling seems to come back, of “a wolf but not a wolf”. Thanks very much again for your contribution! Incredible stuff. 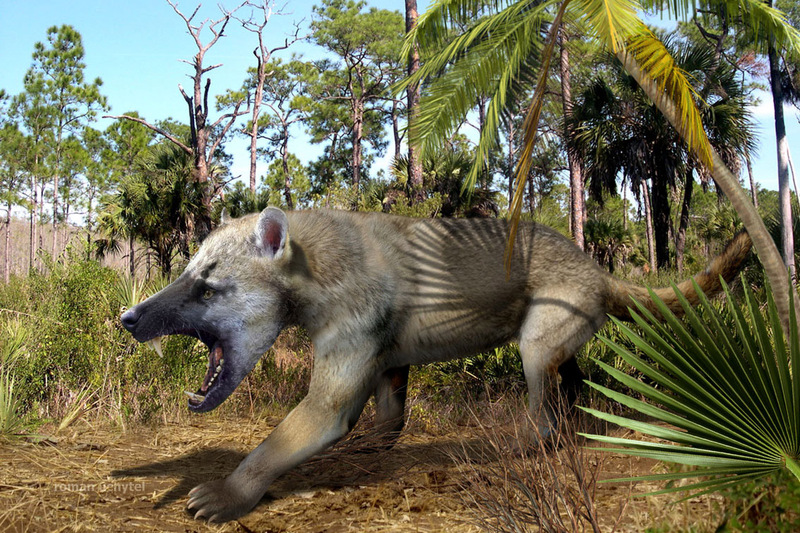 I had a lot of doubts about the realism of these creatures, they all seem to come from the same era (ish) and the same region (ish). It’s a bit like aliens, why do they all look the same ie based on human features. Maybe as Tony points out, in the heat of the moment, and I don’t doubt that attacks did happen, maybe the minds of those witnesses filled in ‘gaps’ to create something more in-line with the events of the day. 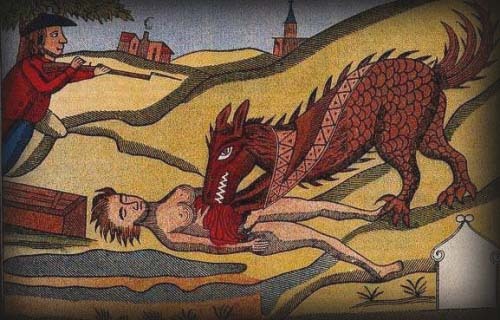 It would be interesting to know the truth behind these creatures and what happened to them. Maybe, evolution has finally played it’s part and they have similar died out. Fabulous research and tenacity on your part. 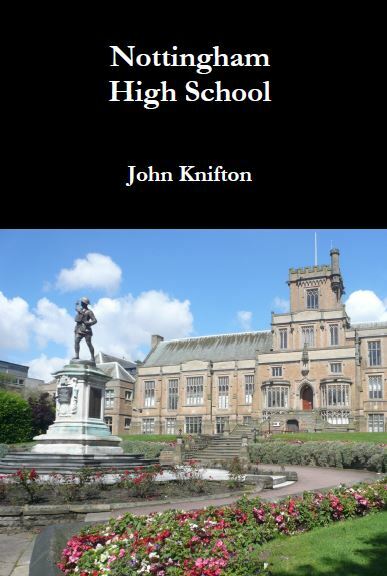 Well done John. Thanks very much for your kind words. 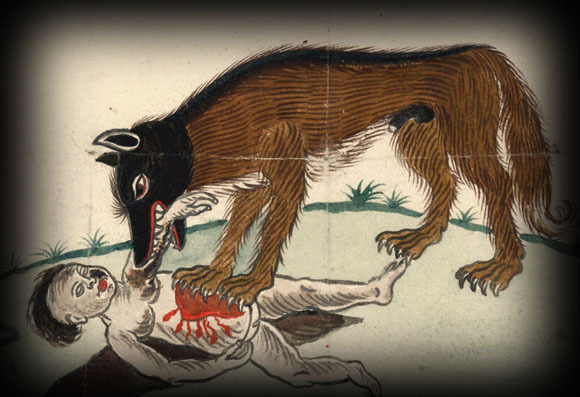 If you have a few moments to spare, the article “Wolf attacks on humans” on Wikipedia is quite interesting. Their short article called “Wolf of Ansbach” is even better. I shall take a look. Thanks. Very well researched post, I have always wondered about some of the exotic animals which are carved on the temples especially the lions – were they real or just the artists imagination? Reading this piece connects some dots of evolution of the various species on earth. 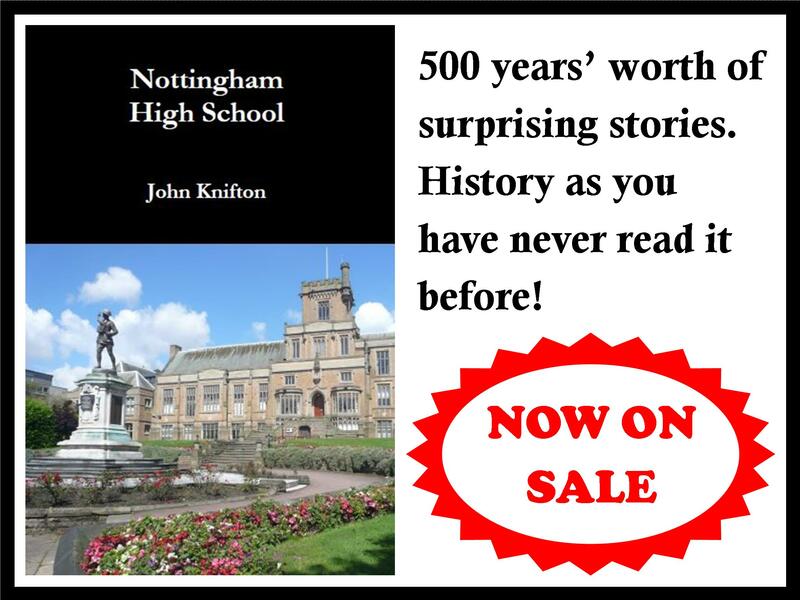 Thanks very much for your interest. There are quite a few creatures on temples in Asia which are now being reconsidered, and people are wondering if they were not quite as mythological as was initially thought. The best example would be in Babylonia with the strange being called the “sirrush”. Several mention that weapons could not harm them, also some looked like they had scales. 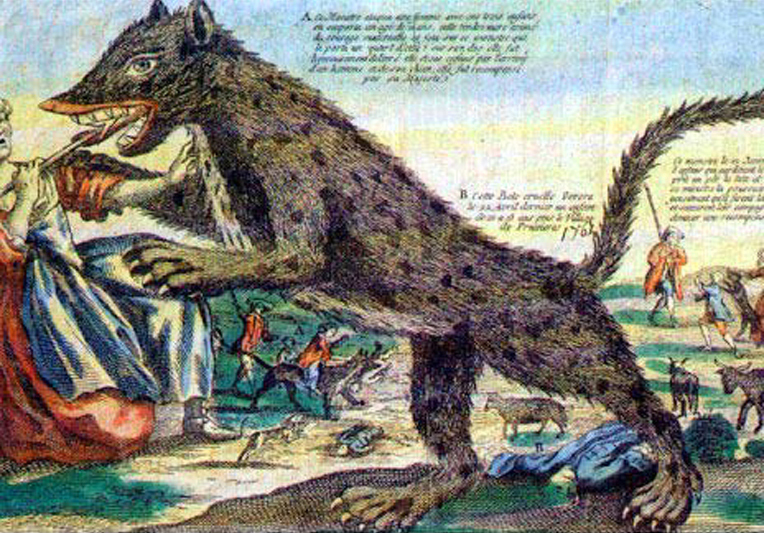 In my investigation of the Beast of Gevaudan I concluded it was most likely a hybrid trained by Jean Chastel wearing some type of thick coverings on its sides but not its chest nor around the eyes. Thats why a girl was able to stab it close to its chest (on a shoulder if i remember right) and kids poking it close to his eyes, but gun fire would not damage it. These might be battle dogs or wolves trained to kill. But thats just one of my theories. I love to think it was some big prehistoric creature now extinct though. There are so many theories about this creature. I think the Jean Chastel theory is quite reasonable but, as with every other theory, there are things it doesn’t explain. 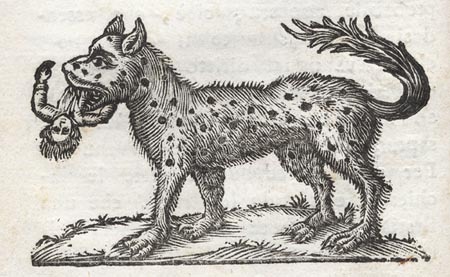 If you look through my blogs, I have done quite a few about the many, many other beasts which appeared in France around this time. 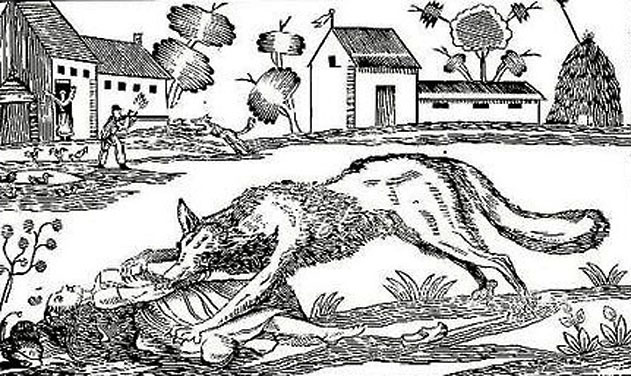 And yes, a lot may be wolves behaving quite unlike they seem to behave nowadays, but a number were not thought to be wolves at the time. 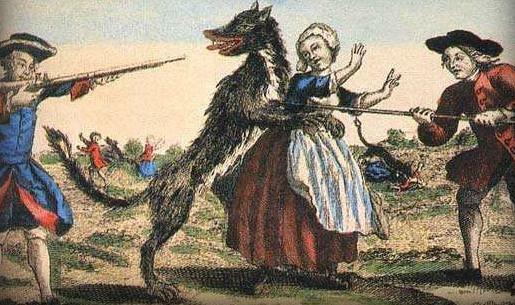 In one case, the people in a distant area actually thought that the Beast of Gevaudan was their very own animal which had moved on to another place. The two creatures seem to have been so similar in appearance. 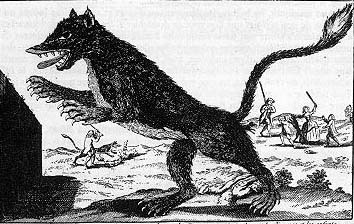 Even in Gevaudan, the creature appeared in two places so far apart but so close in time that the locals thought that there must be at least two Beasts if not more. Jean Chastel could not have done that. For me, the only explanation that will fit all of the scenarios (except Werewolf) is the relict population of some now extinct prehistoric creature. Unless you go down the road of parallel dimensions but that is just a cop out for me. And thanks a lot for your input. It’s just amazing how this creature can keep people guessing for so long! As I was looking at your articles about “the French beasts” which I consider full of new information that is not widely known. There is something that tickled my brain. I found it in the end. 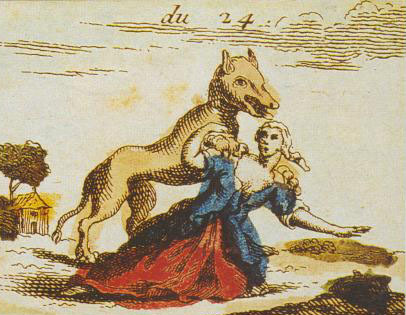 There are actually two types of canids at the time that fit the description of “the beast” relatively well. They are dhole (Cuon alpinus) and Maned wolf (Chrysocyon brachyurus). Both of the species have a white belly and reddish colour. In case of maned wolf they have quite often a black strip over their back and unique mane. You may consider that both of species are smaller and have a lighter build than “the beast”. But there is an answer – at least in the case of dhole. 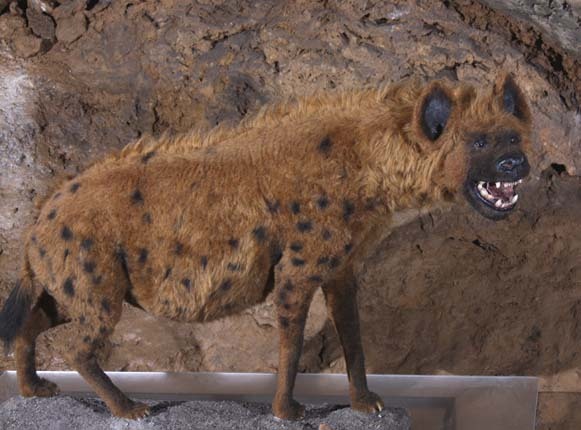 There were at least three distinct species of dhole living in central Europe and one of them (Cuon alpinus europaeus) is proven to had lived there up until the end of last Ice age (around 10 000 BCE.) and they was described as at least wolf size. All three species are funnily omitted by English Wikipedia. Thank you very much for your contribution, Michal. 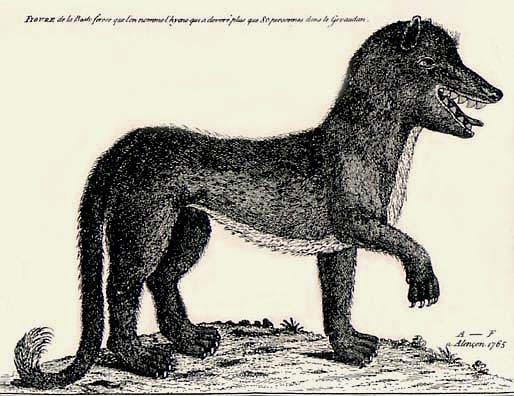 More than one animal like the Beast was seen in the various regions of France and that is why I have always thought that it was a very rare species rather than a single mutation of, say, a large species of dog. Your suggestion of the dhole is a very ingenious one and one that I have never come across before. 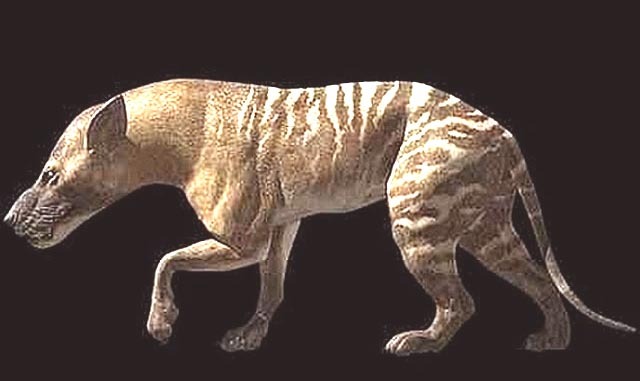 I found the creature here “https://dinopedia.fandom.com/wiki/European_dhole”. Finally, thank you for reading my blog posts and I’m glad you enjoyed them, especially if you found something new in them.